Dr. Abdul Rahman Ghassemlou was born on 22 December 1930 in the Ghassemlou valley near the Kurdish city of Ûrmiyeh. He went to primary school in Ûrmiyeh and continued his Secondary school in Tehran. Dr. Ghassemlou’s involvement in politics started early in life, and at the age of 15 he co-founded the Democratic Youth Union of Iranian Kurdistan. Due to political and national oppression in Kurdistan, his political activities mostly took a clandestine form. Nasrin Ghassmlou attended university in Paris, and later in Prague. In Prague, he meets Helen (Nasrin) Krulich whom he later married and they had two daughters together, Mina (1953) and Hiwa (1955). He earned a Ph.D. Degree in Economics and was an Associate Professor in both Paris and Prague. He was teaching International Economics at the Vysoká s´kola ekonomická (“Prague School of Economics”), and thereafter Kurdish studies at Sorbonne University in Paris. Dr. Ghassemlou authored several books, book-chapters and articles about politics and economics, and some of them have been translated into a number of different languages. His oft-cited work Kurdistan and the Kurds (1965) has been until present days consensually recognized as a valuable source, especially regarding the political geography of Kurdistan, the political history of the Kurds and traditional socio-economic relations in Kurdish society. Besides being an acknowledged scholar and one of the greatest leaders of the Kurds, Dr. Ghassemlou’s excellent diplomatic skills earned him an international reputation, especially in Europe. Those who knew and worked with him closely during his academic and political carrier, Kurds as well as Westerners, recall him as a man of quick wit and a person with a great sense of humour. Dr. Ghassemlou was elected Secretary General of the PDKI in 1973, and re-elected to lead the party by the PDKI Congresses until his death in 1989. After several decades of political activity, and as the leader of the Kurdish people in Iranian Kurdistan, Dr. Ghassemlou was assassinated in Vienna by the agents of the Islamic Republic of Iran on July 13, 1989. Dr. Ghassemlou was in Austria to negotiate with Iranian representatives on Kurdish rights and self-government for Iranian Kurdistan. Dr. Ghassemlou, a resolute advocate of the rights of his people and a determined leader who did not rule out guerrilla warfare, was also a man of peace and gave it a chance whenever possible. He went to the negotiating table in good faith. However, by assassinating the Kurdish leader, the Iranian regime lived up to the entrenched view among the Kurdish nation that it is not trustworthy, and that assassination is part and parcel of its political mindset and practice. On the right to self-determination and Kurdish statehood: The singularity of the Kurdish problem consists in the fact that it is not only separation but mainly union which is the main issue in their case. The materialization of the right to self-determination is not, for example, in the separation of Iraqi Kurdistan from Iraq, but primarily in its unification with the other parts of Kurdistan in Turkey and in Iran. In this case, we are actually concerned with the right of the Kurdish nation to integrity within one state. "THE KURDS, LIKE ANY OTHER NATION, HAVE THE RIGHT TO SELF-DETERMINATION AND THE RIGHT TO CREATE AN INDEPENDET KURDISH STATE." The revolution of 1979 in Iran provided a golden opportunity for Dr. Ghassemlou and his party to revive the Kurdish nation’s struggle for liberation after decades of brutal oppression under the Shah’s regime. Dr. Ghassemlou transformed the PDKI to the needs and demands of that time. He emerged as the leader of the Kurdish people in Iranian Kurdistan after the revolution. Despite an unfavorable condition, the PDKI attempted to provide security and other services for the Kurdish people. The fanatic and fundamentalist Islamic Regime that consolidated its power used military force to reoccupy Kurdistan. That was the start of a bitter military conflict between the Peshmerga-forces of PDKI and the Iranian army that lasted until 1997 when geopolitical conditions no longer were favorable for a continued armed struggle under the leadership of PDKI. Ever since he co-founded the Democratic Youth Union of Iranian Kurdistan until his death in 1989, Dr. Ghassemlou was a man devoted to the struggle of his people for liberation. In every critical juncture in the history of his people, Dr. Ghassemlou played a crucial role. Dr. Ghassemlou’s legacy is rich and multifaceted: he was a scholar, a guerrilla leader, and man of ideas. At a time when Marxism-Leninism had intellectual hegemony in most part of the world and especially in the Middle East, Dr. Ghassemlou, as early as 1983, advocated and attempted to introduce social-democratic ideas in Kurdistan. Consequently, even in the realm of ideas, he has had a great impact on many generations of Kurdish intellectuals and on Kurdish political outlook. Dr. Ghassemlou was a resolute advocate of the rights of the Kurdish nation and a determined leader. Although he did not see war as an end in itself, he did regard armed struggle as a legitimate means to defend the integrity of the Kurdish people. Furthermore, given the denial of Kurdish rights by successive regimes in Iran and their use of military violence to crush any form of political organising in Kurdistan, Dr. Ghassemlou regarded armed struggle as a necessity to achieve national liberation. However, he always gave negotiations a chance, and willingness to negotiate to achieve peace was not regarded by him as a sign of weakness, but rather as part of strategy of nurturing a peaceful political culture based on rational deliberation to reach agreement and to find just solutions to political issues. After several months of attempts to persuade the post-revolution regime to accept the political demands of the Kurdish national liberation movement, which at that time consisted of autonomy for Kurdistan and democracy for Iran, Dr. Ghassemlou soon realised that the new regime only tries to by time in order to rebuild its army with the aim to reoccupy Kurdistan. The reoccupation of Kurdistan marked the beginning of a long and bitter war. Dr. Ghassemlou had been saying for years that the war had been imposed on the Kurdish people by the Islamic Republic of Iran. He argued, contrary to the understanding of the Islamic Republic, that the war was not a zero-sum game and that, sooner or later, the Kurdish question would have to be solved trough negotiations and peacefully, and Kurdish demands be accommodated within such a framework. In 1989, when Dr. Ghassemlou was in Europe to attend a congress of the Socialist International, Tehran contacted him and proposed negotiations with the PDKI. 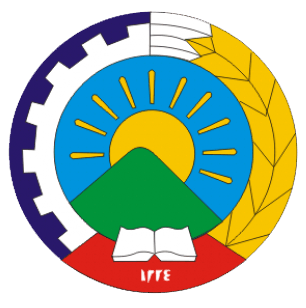 The PDKI accepted the offer. The first round of talks took place on 12 July 1989 in Vienna. The Tehran delegation consisted of Mohammed Jafar Sahraroudi, Hadji Moustafawi, and Amir Mansur Bozorgian. The PDKI had a two-man delegation; Abdul Rahman Ghassemlou and his aide Abdullah Ghaderi-Azar (PDKI representative in Europe). A Kurdish university lecturer in Vienna, Fadhil Rassoul, who had acted as mediator was also present in the negotiations. On 13 July, the second day of the negotiations, at the place where the negotiations took place, Dr. Ghassemlou was killed by three bullets fired at very close range. His aide Abdullah Ghaderi-Azar was hit by eleven bullets and Fadhil Rassoul by five bullets. The next day, at about 7:30 p.m., Vienna police discovered the bullet-riddled bodies of Dr. Ghassemlou, Ghaderi-Azar and Rassoul. Within hours, the police had recovered the murder weapons, detained two suspects and identified a third. The two detainees were Mohammad Jaafar Sahraroudi, later known to be a brigadier-general of the Revolutionary Guards and commander of the Guards’ Ramezan Garrison in Iranian Kurdistan, and Amir Mansour Bozorgian, an under-cover officer of Iran’s secret police, the Ministry of Intelligence and Security (MOIS). Moustafawi succeeded in escaping. Sahraroudi was questioned by Austrian police and released shortly after. Bozorgian, when he was released after 24 hours in police custody, took refuge in the Iranian Embassy. Under pressure from Iran, the Austrian government decided to take the easy route: rather than investigate the murders and put the assassins on trial, the Austrian authorities sent the two suspects back to Tehran. They were even escorted to Vienna airport under police protection. Dr. Abdul Rahman Ghassemlou and Abdullah Ghaderi-Azar were buried on 20 July in Paris. Ali Khamenei, Supreme Leader of Iran (who succeed Ayatollah Khomeini after his death in 1989). Ali Akbar Hashemi Rafsanjani, served as President of Iran from 17 August, 1989 to 1997 and is currently serving as the Chairman of the Expediency Discernment Council of Iran. Ali Akbar Velayati, Foreign Minister of Iran from 15 December 1981 to 20 August 1997, currently an Advisor in International Affairs to the Supreme Leader. Ali Akbar Fallahiyan, Intelligence Minister from 1984 to 1989, who is on Interpol’s wanted list in connection with the Assassination of Dr. Ghassemlou’s successor, Dr. Sharafkandi.